Once hailed as a deal meister, Chinnakannan Sivasankaran, better known as Siva, has had a rough ride in the past few years. The former Aircel promoter was declared bankrupt in 2014 and three months ago, the CBI registered a case against his companies, Axcel Sunshine Ltd and Finland-based WinWinD Oy, for allegedly defaulting on loans worth Rs 600 crore taken from IDBI Bank. But with the National Company Law Tribunal (NCLT) on Monday rejecting Cyrus Mistry's allegations of lapses in governance on part of the Tata Group in dealings with Aircel, Sivasankaran has reportedly bucked up and is planning a counter-attack. 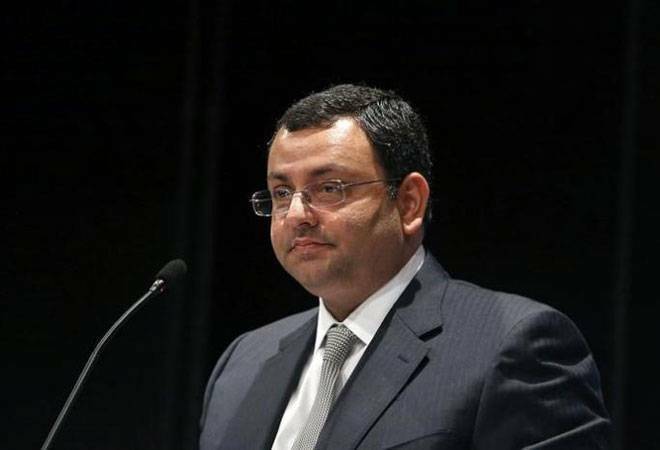 The serial entrepreneur told The Economic Times that he will take Mistry, the ousted Tata Sons chairman, to court for allegedly mismanaging and scuttling the planned sale of Tata Teleservices (TTSL) to Vodafone India, causing him a huge loss. "If the Vodafone deal had happened, I would have received Rs 14 per share, but because of Mistry's mismanagement, I have lost Rs 3,000 crore," Sivasankaran said. He had purchased an 8 per cent stake in TTSL in 2006, of which he claims to still retain about 5 per cent. That's not all. Sivasankaran also intends to encourage Tata Sons, the holding company and promoter of the telco, to sue Mistry. "I will also write to Tata Sons, urging them to file a case against their former chairman because according to the deal then discussed, the group would have received Rs 26,000 crore. Mistry's mismanagement has cost the TTSL's shareholders and they have lost all equity," he added. According to the daily, during the NCLT proceedings Mistry's counsel had alleged that Sivasankaran received largesse worth more than Rs 1,000 crore, including management contracts for procurement services at heavily discounted rates that were against industry standards. Mistry had added that the proposed Vodafone - TTSL merger was challenging because of the high number of contingent liabilities that existed in the business, the lack of clarity in M&A regulations as well as the litigation over the dual technology 2G scandal. Sivasankaran claims that a legal notice would be sent to Mistry this week and the case would be fought in India and the Seychelles, where he has citizenship and is currently based. If this feels like deja vu, it's because earlier in January Sivasankaran had similarly threatened to "take action" against Mistry, reportedly for alleging that he had bagged TTSL shares at a discount and that favours were extended to him at the behest of the Group's patriarch Ratan Tata. The loss-making TTSL, meanwhile, is in the process of being acquired by Bharti Airtel virtually for free. In a joint statement last October, the companies had said that the transaction will be done on a "debt-free cash-free" basis, although Airtel was to take over a "small portion" of Tata's unpaid liabilities for spectrum acquired in government auctions. So how much money did the Tatas' lose in telecom? TTSL posted aggregate losses to the tune of Rs 31,000 crore on a standalone basis between FY2008 and FY2016. This, incidentally, will be the first major unit under Tata Sons to shut shop in the group's nearly 150-year history.